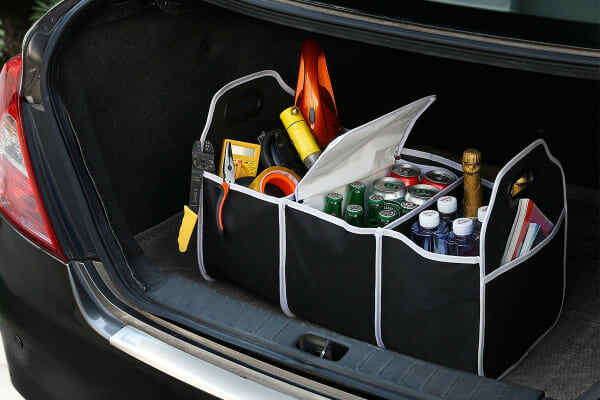 Keep your car boot neat and organised with the Orbis Car Boot Organiser that boasts of a sturdy construction, 3 large storage sections, and a removable insulated cooler to keep your food and drinks cool! The Orbis Car Boot Organiser gives you an easy way to organise the clutter in your car boot. 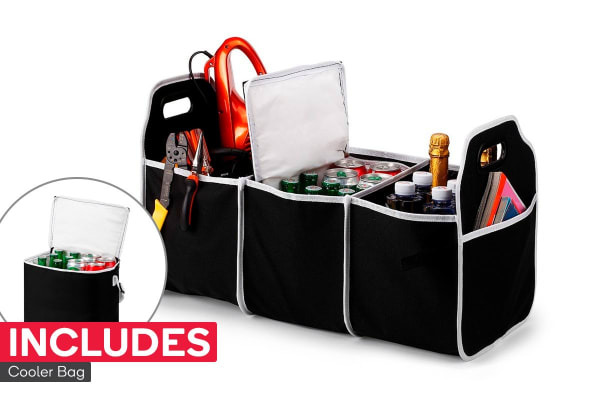 Made from poly canvas and designed to be collapsible, it is sturdy, durable and perfect for organising your tools, transporting your groceries, or even carrying your drinks and food for your camping trips. It offers plenty of space with three large sections that allow you to store all the stuff in your boot neatly. It even has a removable insulated cooler that you can use to keep your food and drinks cold. 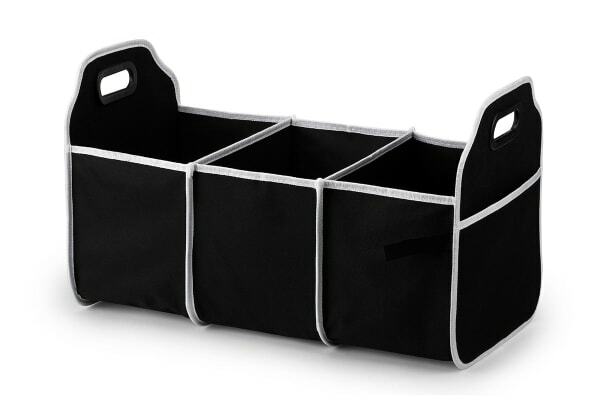 When not in use, this organiser can be folded flat and stored with ease.